With the end of the year around the corner, I always find myself reflecting on the year gone by…and what a year it was. One year ago, just before the holidays, I was enjoying myself, relaxing at my favorite yoga studio, The Yogaloft in Manhattan Beach. Cozy, warm, inviting and the ideal space for inspiration, I had no idea what was in store for this day! Near the end of class, my friend, Amanda, was getting us ready for the final resting pose, Savasana. 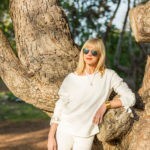 In the Ayurvedic world, I’m what they call a “Vata Pitta,” or in layman’s terms … a ball of fire that’s firmly grounded in mid-air most of the time! And that’s me: I tend to live up in the clouds, daydreaming and scheming, filled with inspiration! Picture three midlife women, all a bit technophobic, taking on a project that was way outside of their traditional wheelhouse and not hesitating for a moment! Cath, Shauna and I met outside of the virtual world for the first time and bonded instantly. 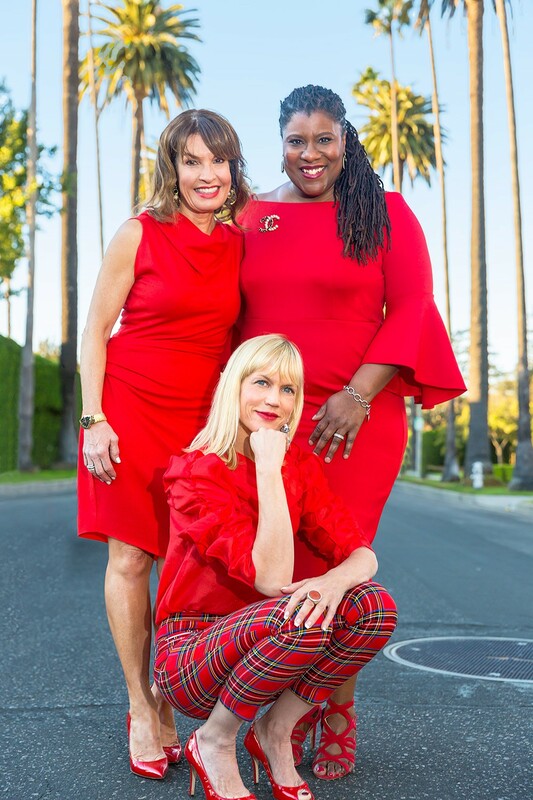 Little did we know what was ahead of us with the launch of The Fierce 50 which has morphed into a much larger community of Forever Fierce to welcome all women at midlife and beyond. 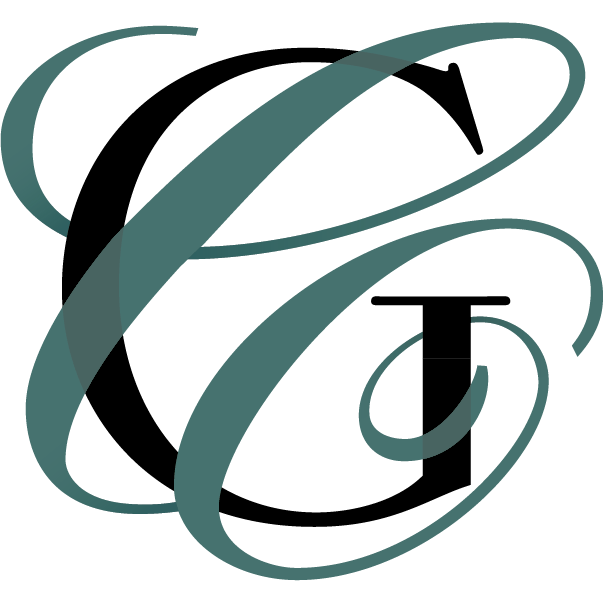 It’s a mission that feels pretty divinely directed as we head toward the beginning of a new year and the launch of a new Forever Fierce Campaign on February 19, 2018. This year’s theme is about LOVE, #Sisterhood and our FIERCE relationships we’ve developed both online and offline. The community has taken on a life of it’s own as women around the world rise up and find their voices. 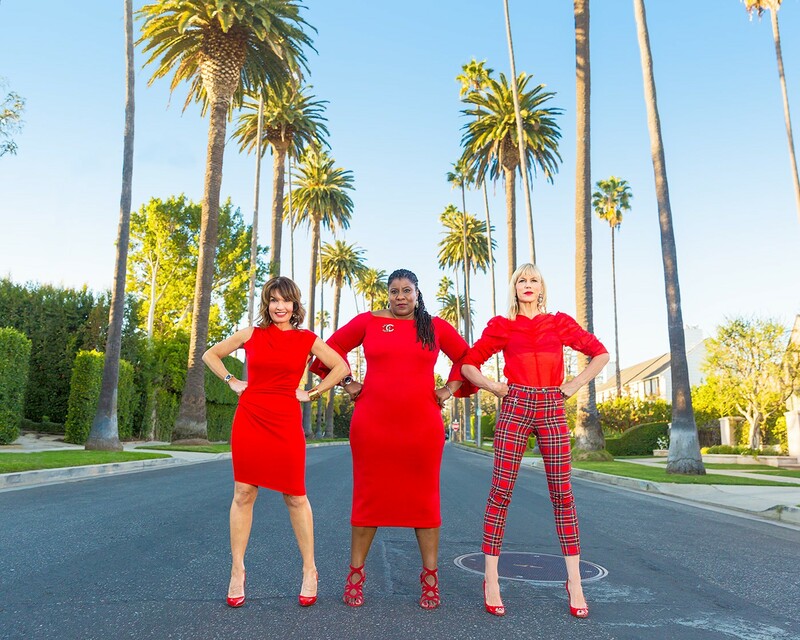 The women of Forever Fierce are here to show the world that “Empowered Women at Midlife are Cool.” They’re also more relevant and powerful than ever and are coming together to shift a paradigm and usher in a whole new world where women come together to lift up and support one another. When it comes to women, Forever Fierce has seemed to naturally attract the best of the best. The women with the kindest hearts and the most compassionate souls. It’s a heart-centered community and one that’s here to stay! We’re here to show the world that we’re silent no longer…and, we’re a lot of fun! 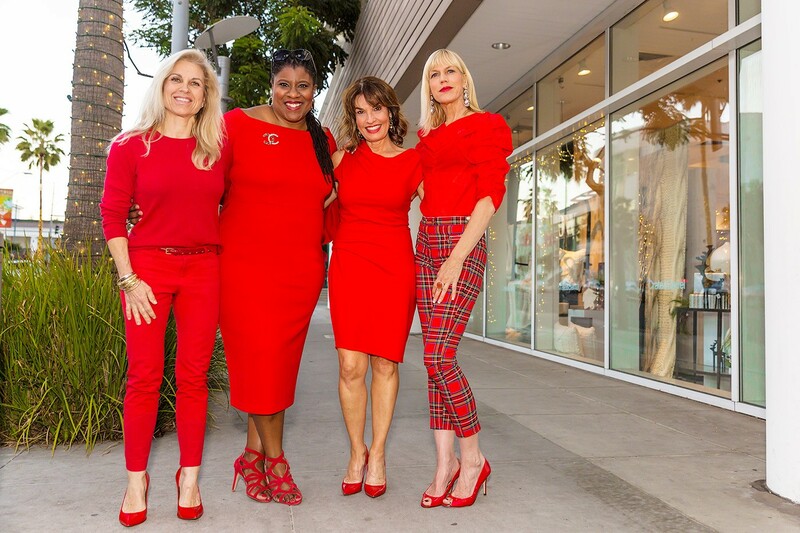 Meeting up with my local sisters, Julie Liams (Over Fifty in Hollywood), Lesley Wolman (Fabulesley) and my badass sister all the way from Washington, Carol Parker Walsh (Evolve Your Image) was an absolute blast. 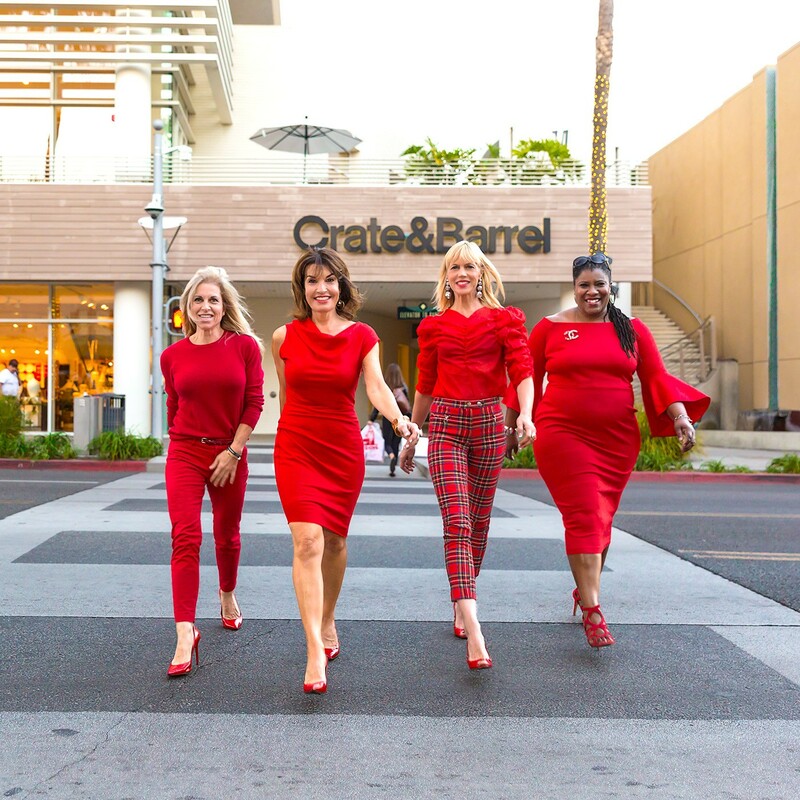 Dressed in various shades of crimson, we hit the streets of Beverly Hills to celebrate the holiday season in style. When it comes to style, no one does it better than the women of Forever Fierce. And, when it comes to inspiring and empowering women of all ages, we’re here to be the ultimate role models leading the way for younger generations. It’s time to put a new “cool” frame around midlife as that’s how we experience one another. We are only just beginning! Join the women of Forever Fierce on Facebook and watch your viewpoint on midlife shift along with a much larger paradigm. Cheers FIERCE beauties and Happy Holidays! Stay tuned as there’s a whole lot of excitement in store for the the New Year! 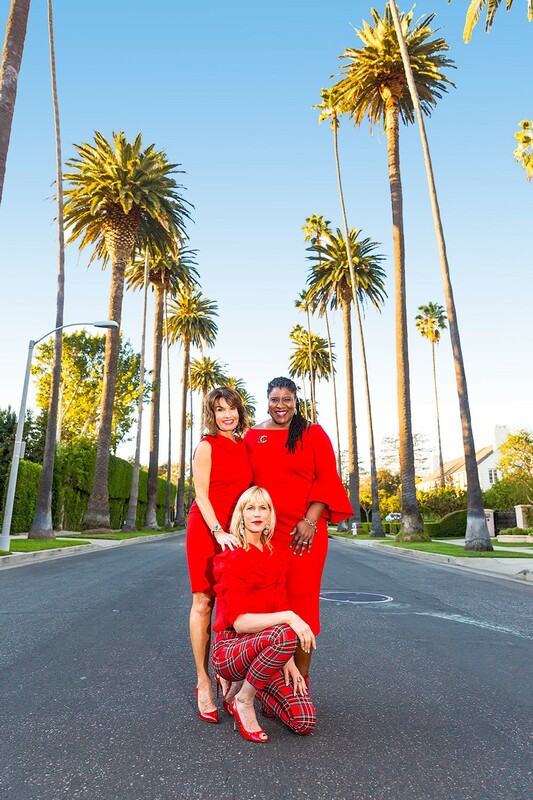 I love seeing all my fierce sisters dressed in holiday red! 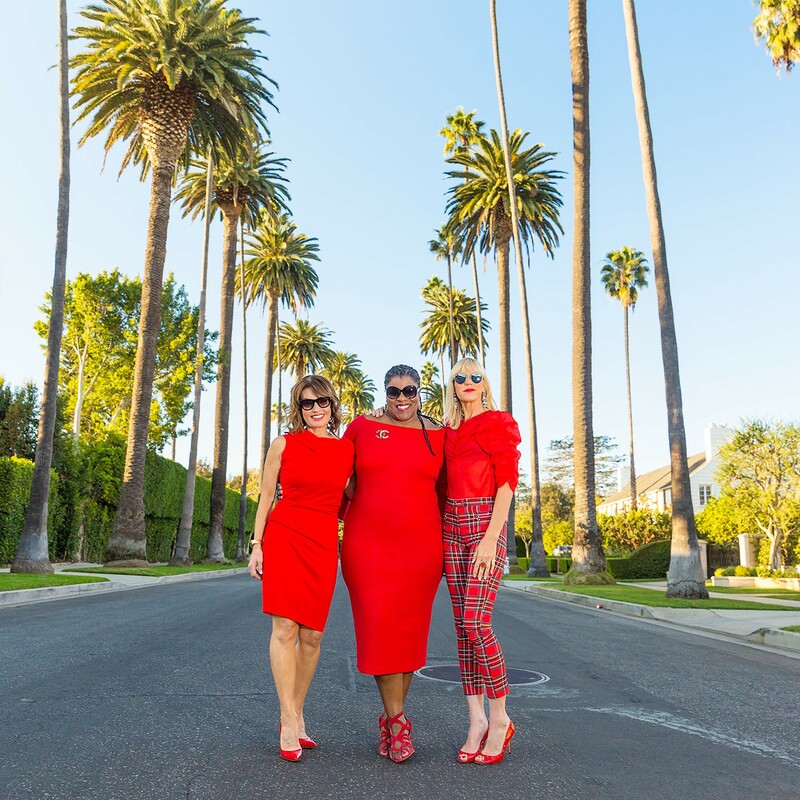 If it wasn’t for your vision and all the hard work you’ve done behind the scenes for the Fierce 50 movement last year, we would be looking towards the launch of the Forever Fierce Campaign. I have enjoyed sharing the last year with you but I will always be grateful to you for creating the Fierce 50. I have had so many wonderful opportunities this year from brands who wanted to partner with me and I know it’s because of you sweet friend. I’m so grateful and touched to hear that as this community and changing lives means the world to me. I do hope we meet one day sooner than later and let’s see if we can get that collaboration done this year. Have a beautiful holiday, my friend. Enjoy the time away with your daughter and I would love to introduce you to Madeline Stuart’s Mom. Mike worked with a lot of Downs children growing up. We both have a very soft spot and their innocence and unconditional love always touches my heart!